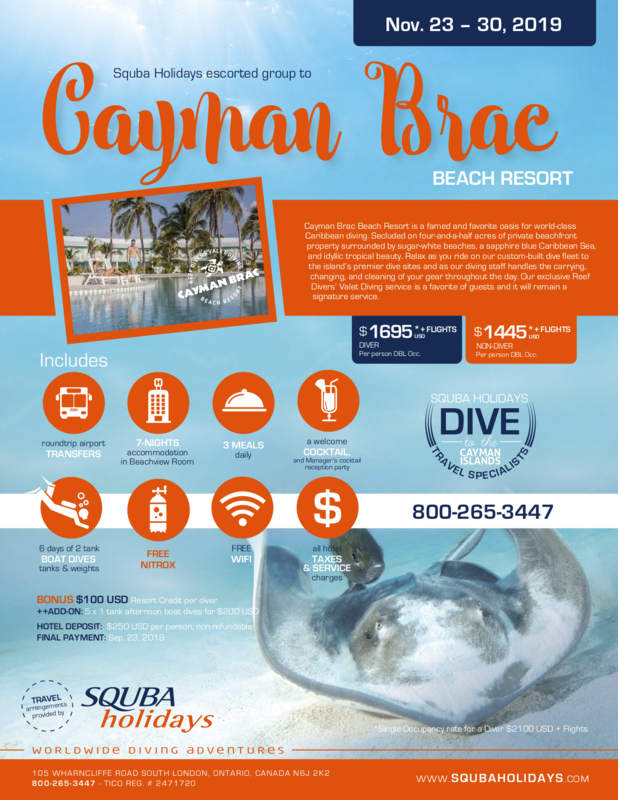 Cayman Brac Beach Resort is a famed and favorite oasis for world-class Caribbean diving. 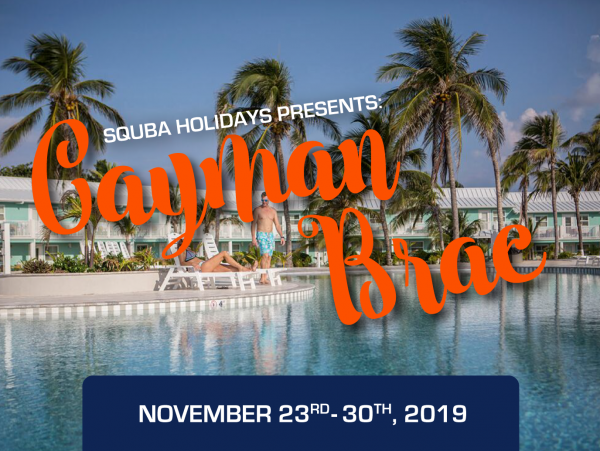 Secluded on four-and-a-half acres of private beachfront property surrounded by sugar-white beaches, a sapphire blue Caribbean Sea, and idyllic tropical beauty. 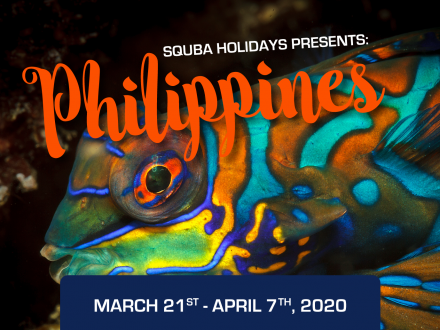 Relax as you ride on their custom-built dive fleet to the island’s premier dive sites and as their diving staff handles the carrying, changing, and cleaning of your gear throughout the day. Their exclusive Reef Divers’ Valet Diving service is a favourite of guests and it will remain a signature service.